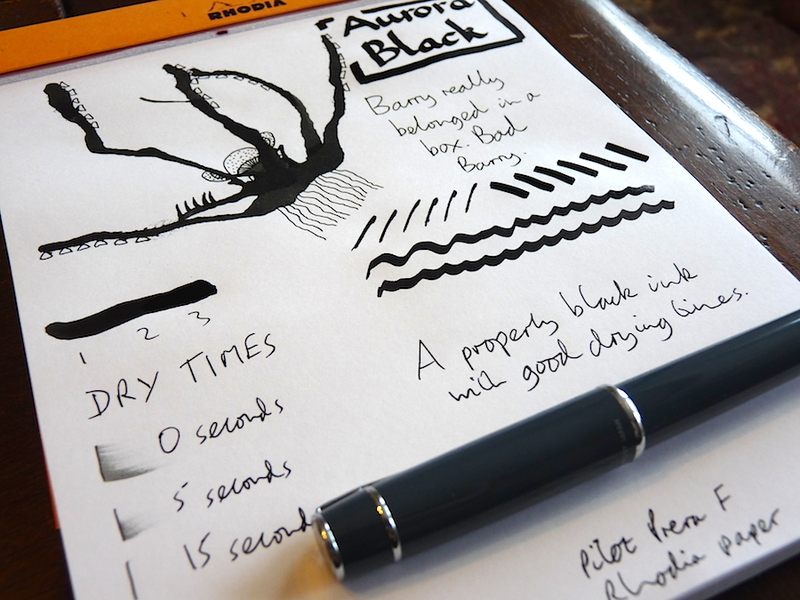 Aurora Black ink review – Pens! Paper! Pencils! The primary purpose of a black ink is to be black. 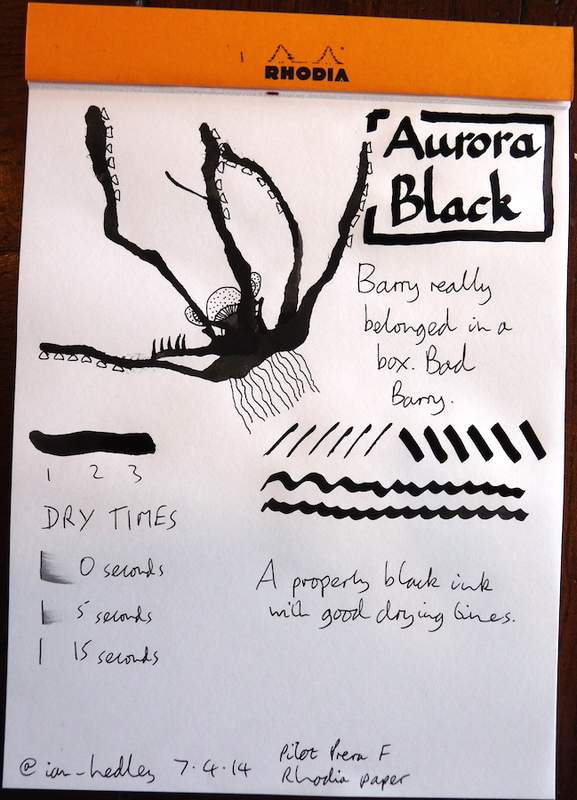 Aurora Black ink is very black. It’s also quick drying and well behaved. This is one of my favourite black inks (on account of its blackness). Great review! Aurora Black is my current go-to black. I’ve yet to try many others, since I like it so much. Thanks! I think this is my black ink of choice now, having used Diamine Onyx Black for quite some time.